All my previous experiences with Las Vegas could generally be summarized as standing around a craps table, losing money among friends. It turns out you can be far more productive with your time simply by attending Pubcon — Vegas’ premiere social media and optimization conference and expo. Taking place within the friendly confines of Las Vegas’ historic Convention Center, Pubcon is considered one of the most essential gatherings of marketing professionals in the country. Businesses, start-ups, exhibitors and speakers all converge in the entertainment capital of America for a week-long study on the forces shaping their industry. Pubcon is a veritable who’s who of the industry, a place for search marketers to truly geek out. I’m not ashamed to admit I was certifiably star struck seeing Annie Cushing in person — having adopted her SEO audit years ago, it was a little surreal to see her speak live. The precursory Masters group workshop was my first introduction to Pubcon, focusing on organic traffic optimization. The hands-on coaching was valuable to me, even with my high experience level with SEO, and would be invaluable to many, especially those in need of keeping up with the changing SEO landscape. The day-long session covered a wide range of advanced subjects, providing detailed tactics considered essential to modern search optimization. SEO is notoriously difficult to define — so how do the experts describe it? Indexability — Ensuring your pages are catalogued in Google. Relevance — Ensuring your pages are relevant to the search query; utilizing keywords in locations that send strong signals to search engines. Authority — Ensuring your website is recognized by topical authorities in your space, i.e. receives links from trusted sites that relate to your niche. Clickability — Ensuring SERP snippets compel searchers to click-through to your site. If you’re strictly going by the criteria above, SEO hasn’t changed all that much. However, despite what things look like on the surface, the world around us has changed dramatically, directly impacting the way people find information online. “It’s not really technology that’s changing, it’s people.” Technology just follows suit. Perhaps the biggest thing impressed upon me from the workshop was just how much of a ‘mobile-first’ world we live in. Over 50% of all web traffic takes place from a smartphone — a number that’s only growing over time. The trajectory of mobile traffic has placed an added emphasis on compact web design like AMP and speed in general — quick loading times directly correlate with the positive user experiences. Mobile devices haven’t only changed the way we design websites — they’ve changed the way people search for information altogether. Today’s Google is more conversational. This official video from Google demonstrates how people engage with the search engine using speech recognition. The future of search is already being shaped by artificial intelligence like Google’s RankBrain. Google’s algorithm is actively learning from search queries, rapidly improving how it interprets a searcher’s intent to yield more relevant results. Boom, the answer is right there. No need to waste any time digging through different search results to find the information I need. Google is smart enough to interpret my search query. Machine learning is what makes it all possible. 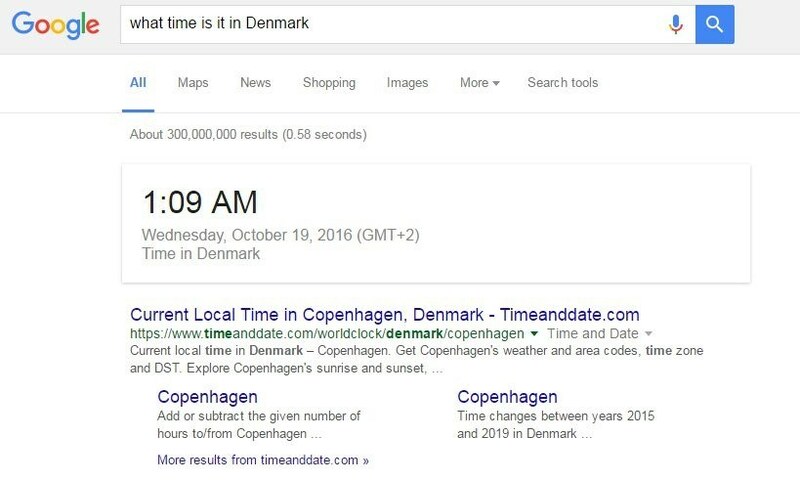 By identifying patterns — people searching ‘what is the time in [location]’ go to pages with the actual time — they can provide the information they need faster, enhancing the user experience. What should webmasters take from all this? Manipulating search results is only getting more difficult. You need to give people what they want and present it better than anyone else to succeed organically. Search engine results pages have changed considerably since their first configuration. This is only one example but let’s break down some of the key improvements from figure 2. A: Expanded text ads were recently introduced to Adwords. ETAs more closely resemble organic results (non-PPC links) than their predecessors. B: Maps now populate with local listings whenever relevant to your search query; this data is based on your current location. 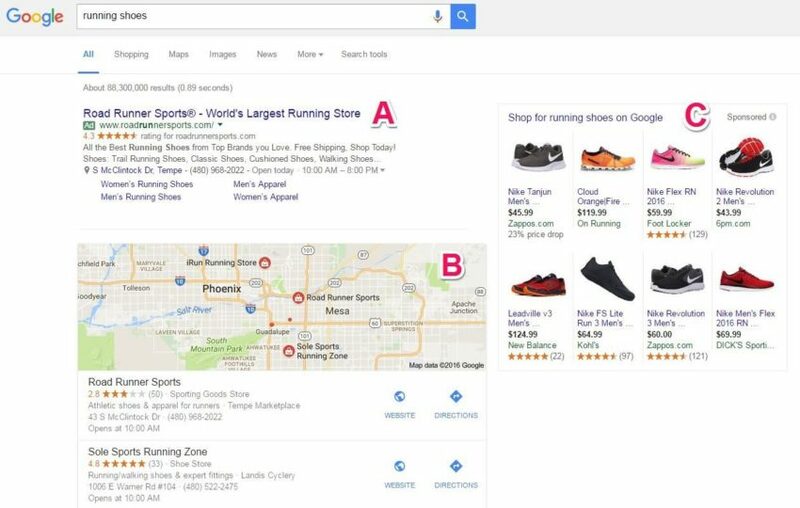 C: Sponsored shopping results will populate when relevant to your search query; these are highly visual showcase products relating to your search. 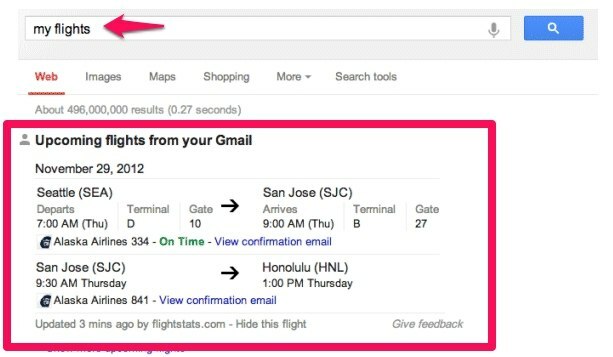 These are massive improvements from the early days of search — improvements many of us hardly notice because Google is an everyday part of life. The wide variety of subjects covered at Pubcon is ideal for T-shaped people, people with cross-functional awareness of different marketing disciplines. Topical discussions on search engine optimization, social media advertising and paid search helped ensure attendees received a healthy mix of information. Best of all, attending this year’s Pubcon in Las Vegas gave me the rare opportunity to learn from top industry experts. Keynotes from influencers like Un-Marketing’s Scott Stratten provided real-life examples of effective branding while illustrating how ethics in marketing is ‘not a renewable resource’ — it’s our responsibility to find ways to make a human connection with our audience. Pubcon is a top conference that can give you new perspective on marketing while refining your existing skillset — add it to your shortlist. 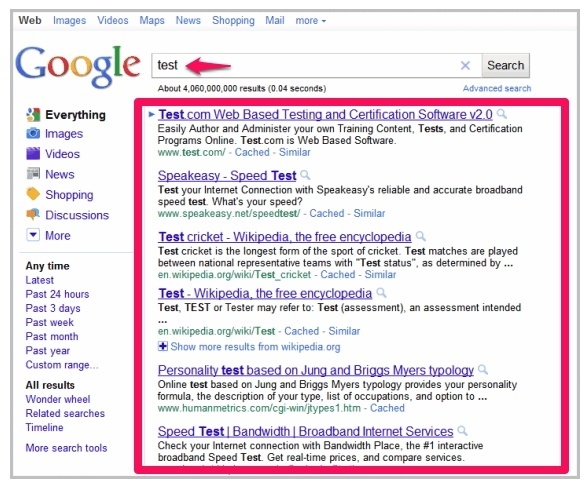 Next post : What is Paid Search?